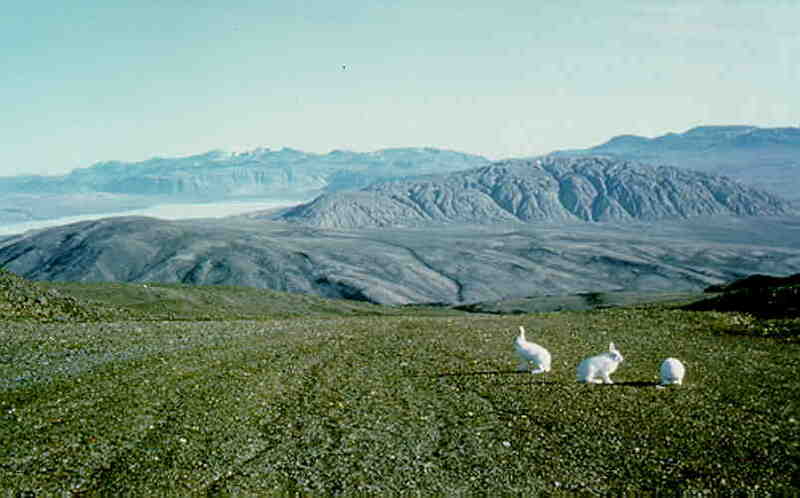 Table of Contents "On the road to Kabul and other short stories of treks"
Arctic hares on Eastern Axel Heiberg Island, in front of a salt dome (500 meter high mountain, 5 by 7 km) near Mokka Fiord (ice covered bay). Mountain Range in the far distance at 40-50 km. When you tell people you spent several summers on Ellesmere and Axel Heiberg Island in Northern Canada, only Canadians react. Americans and Europeans have no idea where you have been. Even hinting at "the islands on the Arctic Ocean" doesn't ring a bell but you tell them it resembles Spitsbergen and is located next to Northern Greenland, most get curious. Canadians known that these island are located in the highest parts of the Canadian Arctic on the Arctic Ocean next to Northern Greenland. These are the most remote islands of Canada, covered by glaciers for 30%, even cold in the summer and with a pristine flora and fauna. You are back into a snow and ice-covered landscape from the ice ages, tens of thousands of years ago. This area is difficult to reach and most visitors work for the Canadian government, mainly dealing with weather, natural resources and military. Many scientists like myself also visit the area as a guest of the Canadian government which supplies free lodging and transport. Very few tourists can afford the costly private plane ride to the lake Hazen National Park on Northern Ellesmere Island which is the place they are allowed to visit. In the seventies there was extensive exploration for gas and oil and large gas resources were found on Melville Island. So far, transportation by boat in the frozen channels required special icebreaking tankers which is not economical. On some maps you still see a gas pipeline planned towards Western Canada which is also not feasible. 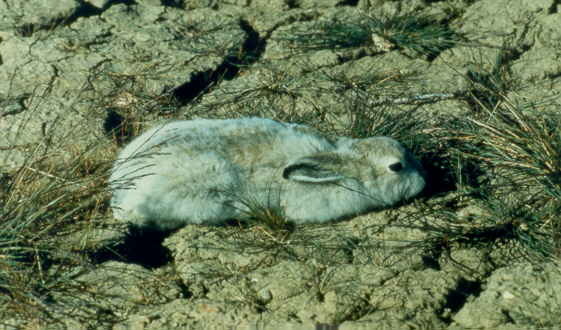 The area is extremely sensitive to human intrusion. Small shrubs, mosses and lichen take hundreds of years to grow and foot prints stay for years. One of the earliest was the infamous Peary, the so-called first (white) man to reach the North Pole on 6 April 1909, who slaughtered most of the caribous of Ellesmere Island to provide food for his polar expeditions. 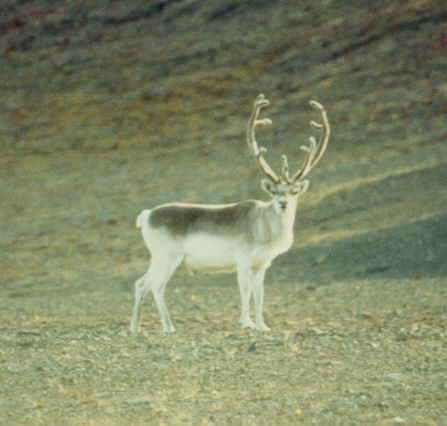 Sadly, the caribou herds are still trying to recover. It is now generally accepted that he falsified his logbook of his progress to the pole and he never reached it. What is so special about this area? 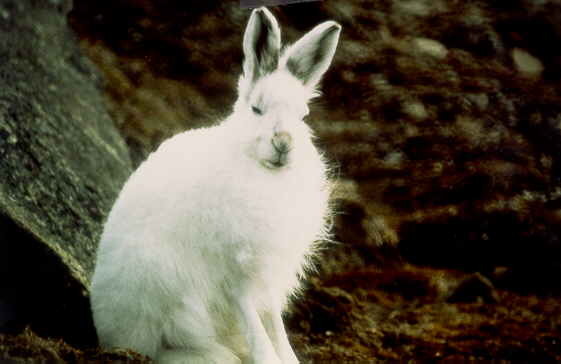 Personally, I was thrilled mainly by the pristine, barren landscape with original wildlife. There are no human beings living here, not even Eskimos, just like in Antarctica or in most of the 4500 plus meter regions in the mountains. 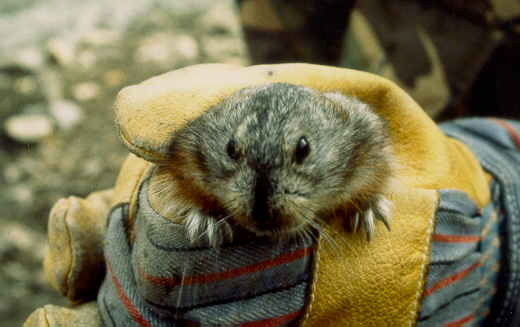 In addition, you are surrounded by the unique abundant wild life: lemmings, hares , foxes, caribous , muskox , white wolves  , snow owls, Geier Falcons, various other birds and, luckily, few polar bears. 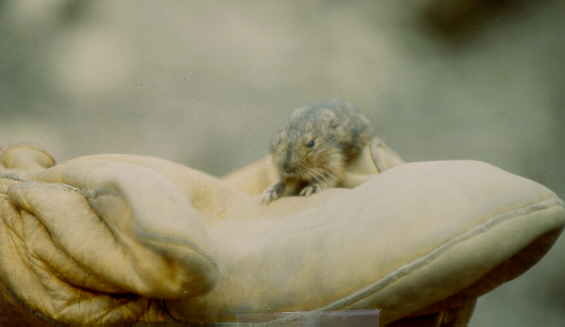 The lemming  is at the base of the food chain for the carnivores and there are zillions if not more. 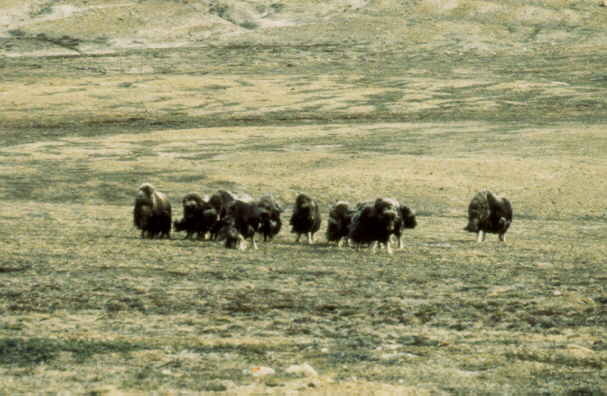 Waking up in the morning with a muskox herd  close to your tent, meeting a lone muskox bull in almost every valley, stumbling across a nest with young snow owls or Geier falcons, or wolves passing by your camp are unique experiences. You do not get this without the discomforts of an Arctic region: the constant strong and cold wind, the 2 months discomfort of camping with simple equipment and cold tents, the dry and dusty area, chappy hands, loosing weight despite ample food and 24-hour daylight tiring your eyes. Only few of my students and colleagues, less than 1 in 4, were prepared to go back after spending a summer. Why did I spent 5 summers here? My official reason was science, this area has a uniquely exposed geology, especially salt domes. Still, the area is so special, that this may have been the real reason. Every year, here were thrilling experiences, e.g. 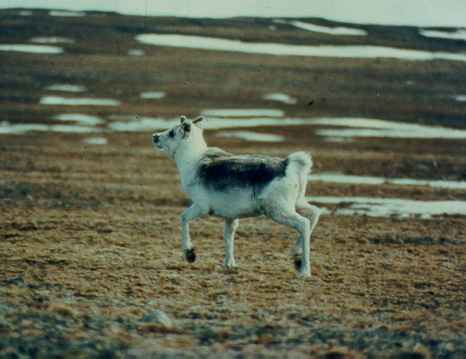 a tent blown down in storm, wolves snatching a garbage bag or stealing the meat supply, a muskox chase, landing by plane on the tundra or a snow storm in mid summer that lasts for several days.